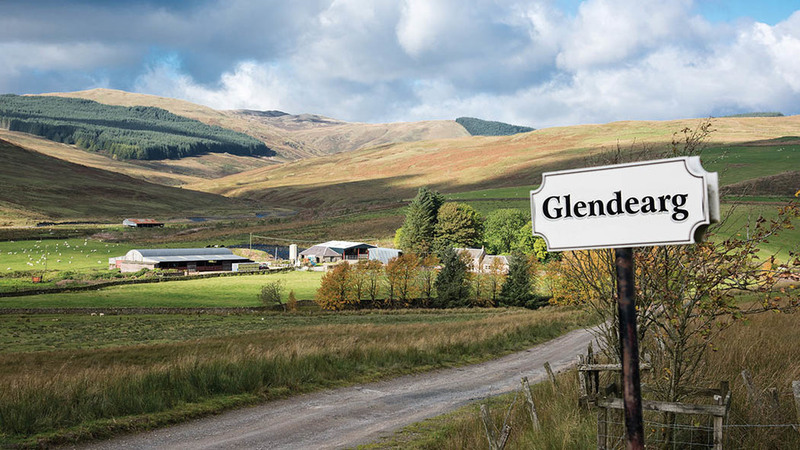 In recent years Andrew Reid has enjoyed success at Agri Expo with home-bred Cheviot lambs from the family’s Glendearg Farm at EskdalemuirDumfries-shire. Lynsey Clark reports. SHOWING pure Cheviot wedder lambs and occasionally crosses, is a hobby the Reid family has enjoyed for the past 15 years, since Andrew’s late dad John first exhibited a the Scottish Winter Fair. They have since won the Mountain and Moorland championship three times at that event, and have led the Cheviot section at Agri-Expo twice in the past four years. Andrew says: “We started exhibiting mainly to help promote the carcase quality of the Cheviot breed and to promote our own sheep, but we found that we really enjoyed it. It has a great social side to it too. 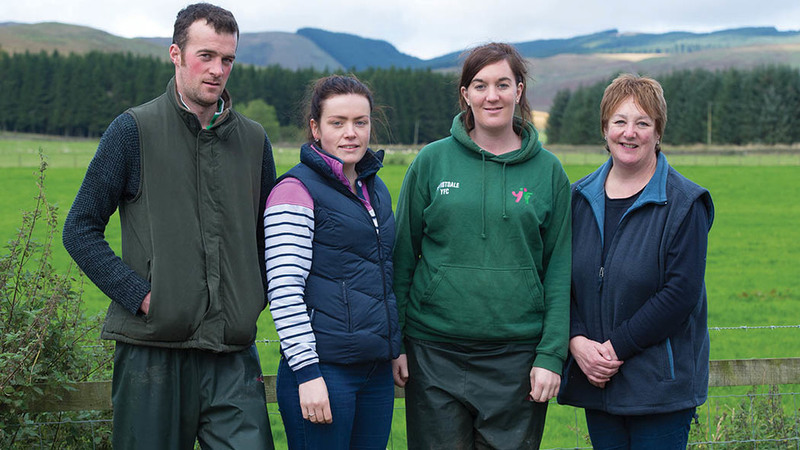 Alongside his mum, May, and sister, Lindsay, Andrew runs 1,100 South Country Cheviot ewes and 110 beef suckler cows, on 769 hectares (1,900 acres) at Glendearg Farm, Eskdalemuir. The hill ewes (750 Cheviots) are bred pure, while the remaining 350 ewes are kept in-bye and crossed with a Texel or Beltex ram. 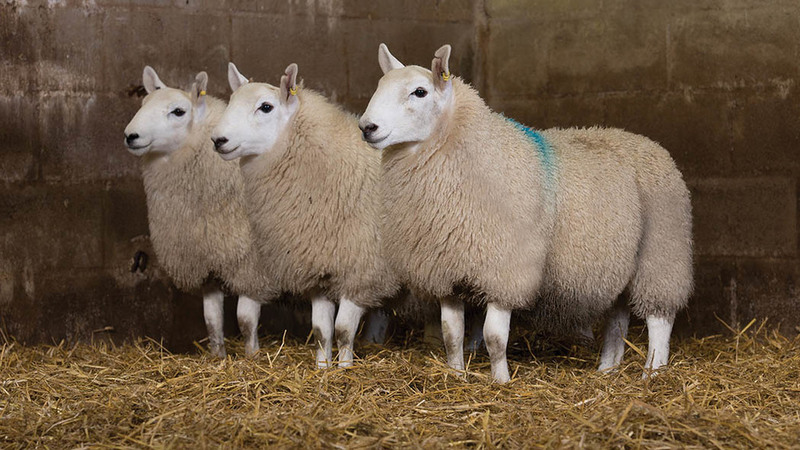 All lambs – other than ewe lambs kept as replacements and rams kept for breeding or selling – are finished at home and sold through Longtown Mart between December and March, with the cross lambs away first and then the Cheviot wedders. 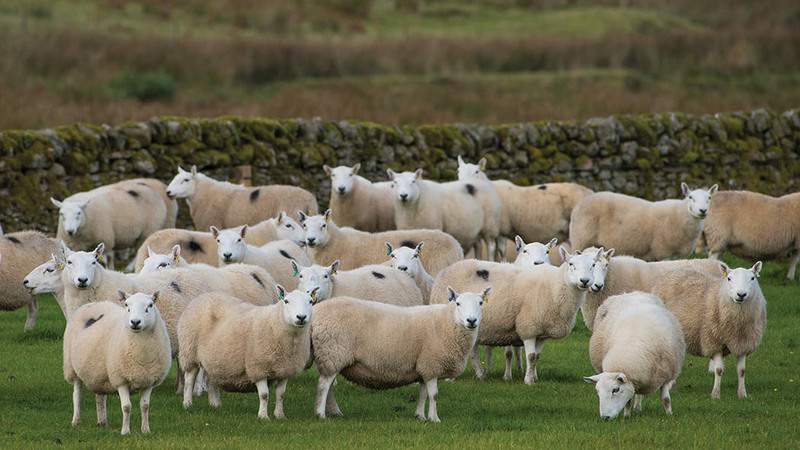 The Reids acquired the foundation of their South Country Cheviot flock along with the farm, which they purchased 18 years ago, after selling their two smaller farms near Peebles. The family had a long history with the Cheviot breed before that, though, and Andrew is still confident that it is the best hill breed for them. One of the biggest challenges the Reids face is a wet climate, with an annual rainfall of more than 60 inches. Fluke can be an issue and, consequently, they dose the sheep against it four times a year. Lambing begins early April, with the in-bye ewes, which are lambed inside, followed by the hill ewes in the middle of the month. Those with singles are left out on the hill, while those scanned with twins are brought into fields closer to the steading. Recently weaned South Country Cheviots. Hill ewes scan 115 per cent and wean at 110 per cent, while the in-bye ewes scan at 160 per cent and wean at 150 per cent. Andrew says: “We do not have massive lambing percentages, but we have good survival rates with low labour. The in-bye ewes and twins are fed rolls six weeks prior to lambing, while the singles receive no extra feeding, just minerals and energy buckets. The best ewe lambs are kept as replacements and the family sells around six two-shear rams a year at Lockerbie, having used them first at home, as shearlings. In the cattle herd, the cows are mainly Angus and Shorthorn crosses and the Reids have an Angus and a Shorthorn bull, for breeding replacements. Most of the cows (60 per cent) go to the Charolais bull, calving in the spring, with the calves sold as stores at Lockerbie at 9-10 months old. Some 49ha (120 acres) of silage is cut each year, mainly for the cows, but occasionally for the sheep, too, if they need it. The family pulls together to share the workload, and that has been especially important the past eight years, since they tragically lost their dad, John, in a car accident. Andrew and May are there full-time, with Lindsay working on the farm part-time, in addition to her job at a sawmill in Lockerbie. Andrew’s girlfriend Sam, a land agent, is also keen to help out and has been on-hand at Agri-Expo with him for the past few years. This year, they plan to show two pairs of South Country Cheviot wedder lambs, which they select from a group of around 30. Andrew dresses the lambs himself, a skill that he has picked up over the years, mainly from watching and learning from some of the experts when he was growing up, such as the late Hume Paterson.